We catch up with this award-winning Chef Shane Chartrand, who's helping pave the way for Indigenous cuisine in Canada. From dishwasher to award-winning chef, Shane Chartrand, of the Maskêkosak people (People of the Land of Medicines) from Enoch Cree Nation has accomplished so much in his forty-two years of life. Not only is he one of Canada’s leading chefs, but he’s also on the forefront of the re-emergence of Indigenous cuisine. Despite his brilliance and achievements, Chartrand is a humble, down-to-Earth-fellow, who enjoys eating as much as he does the cooking (or maybe a little more than he’d like to admit). Chartrand sits down with Native Max and talks about his journey of working to the top of the culinary world and why food reverence should be a big part of who we are. Chartrand worked with award-winning chefs and trained in some of Canada’s best restaurants and hotels, where he furthered his culinary skills. Soon, Chartrand ascended the upper echelons of the culinary world. 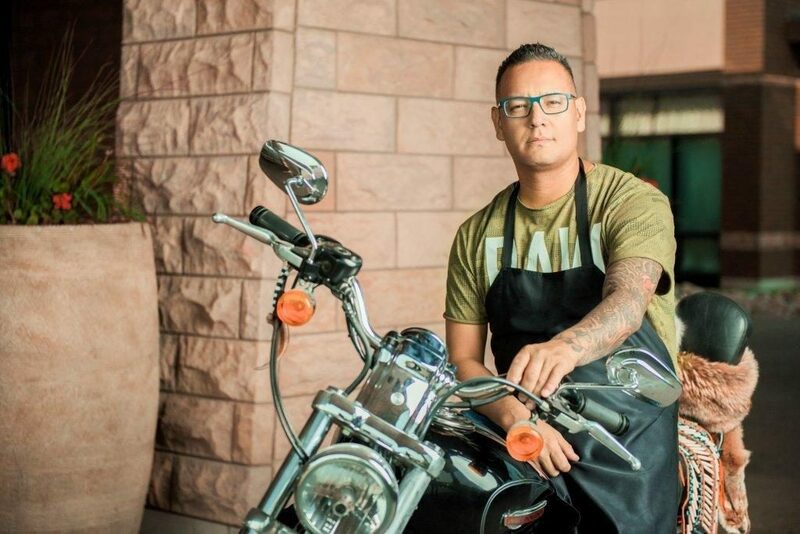 He started out as Head Chef at Dante’s bistro and Sky Lounge, then to Chef De Cuisine until taking over as Executive Chef at the award-winning Sage Restaurant inside River Cree Casino and Resort, where he is currently. Chartrand garners an impressive collection of bronze, silver and gold medals alongside notable awards. Chartrand also appeared on Chopped: Canada, where he placed 2nd in 2015. Chartrand has been featured in countless different news columns and articles, both in print and online. He’s covered many local and regional magazines, such as Avenue. He’s the face for products by companies such as Straw Man Farm, whom he partnered up with to create a bison broth. He adds that he was featured in several cookbooks, like Great Canadian Masters Cookbook and Feast Cookbook, just to name a few. Chartrand is also highly trained and holds credentials. For example, he’s considered a Red Seal chef which means he earned this accreditation by demonstrating superior skills and knowledge as a chef and passing a national exam. He’s also a Level 1 ISG Sommelier, meaning he is a trained and knowledgeable wine professional. Last month, Chartrand competed in and won (making him first First Nations person to do so) the Gold Medal Plate at Edmonton’s Gold Medal Plates Culinary Competition. His dish was the unanimous first choice of the judges, which was alive with texture, taste and complexity. Chartrand competed years before but only took home silver and bronze. The competition continues across the country, culminating in the Canadian Culinary Championships in Kelowna in February 2018. The Canadian Culinary Championships is recognized as one of the most intense national competitions that a chef can be a part of. Chartrand will compete against the country’s top eight to ten chefs who won Gold Medal Plates from each city. To be crowned the top chef in Canada is a career changer. It’s also worth noting he’s a REDx Talks speaker, having shared his story to a packed house (while sporting his chef’s apron at that). At his REDx Talk, he shared with the audience about the importance of food identity and how First Nations family gather and eat. Charitable opportunities always remain priority for Chartrand, reminding us that success is not just dependent upon credentials and experience. He’s participated in events for charities such as Kids with Cancer and Make-A-Wish, and taught cooking classes to Native youth in the community. Chartrand also volunteers and helps out at the Zebra Protection Centre, an organization which offers 24-hour crisis response and intervention for children at risk for abuse, most often sexual abuse. This holiday, Chartrand plans on cooking Turkey dinners for five-hundred people in his community, along with some keynote speaking. Another thing Chartrand does for fun is to travel and eat at restaurants. So far, Chartrand has crisscrossed the whole continent of North America, having cooked (and ate) in Okanagan, Vancouver, Calgary, Toronto and New York. He admits to being a “culinary destination” traveler, travelling to places and trying out restaurants he’s been dying to try. “I love to travel and eat at restaurants. My travel is always going to be food destinations”. One more reason why Chartrand travels is so he can get a feel for different kitchens and familiarize himself with various cooking environments. He tells me that he’s set to travel to Japan and San Francisco, and return to New York to cook next year. When asked if there’s a type of regional food, cuisine or ingredient that stuck out to him from his travels, his answer are earthy ingredients. “Bear, salal berries, reindeer moss, birch, etc.” Currently, Chartrand’s cuisine of the moment is indigenous and Canadian. He is, however, capable of producing French, Mediterranean and Asian of many kinds. He tells me his must-have ingredients at any given time are dandelion honey, haskap berries, Freekeh, Farro, dry-aged meat and bison. You can always find Chartrand hunting and fishing during his off time, which still happens to be a strong passion of his. He tells me that he’s planning on visiting home sometime this month to hunt and fish. 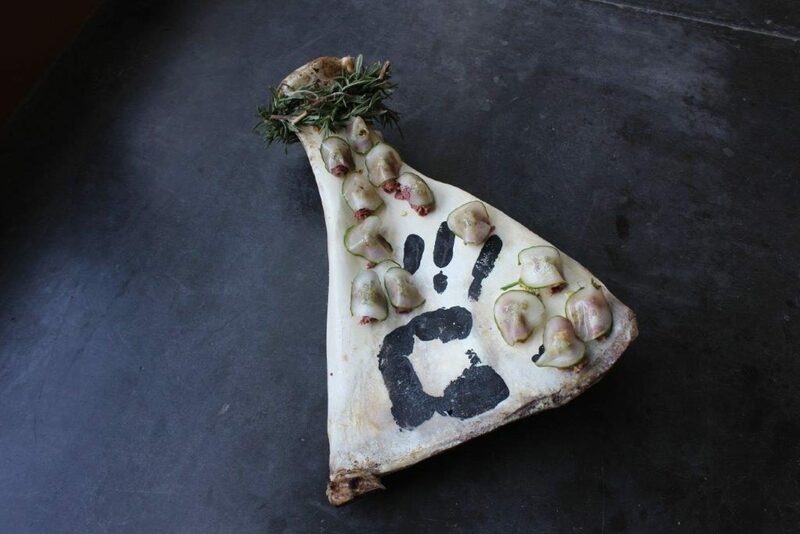 I recall an article that I had read, about how fellow Indigenous chef and food activist Karlos Baca (Diné/Tewa/Nuche) rejects the term ‘chef’ due to its French-European derivation. Chartrand admits he appreciates it. “I appreciate the word ‘chef’ just for the respect of how long it takes to actually become one,” he explains. “Also, European food is a big part of our country’s roots and multi-culturalism. I don’t look at the negatives of something that doesn’t hurt anyone. The next few months look to be super busy for Chartrand. He’s representing Edmonton in the said Gold Medal Plates competition in February. He’s cooking for Edible Canada in Vancouver, and opening a new restaurant called ‘SC’. He’s also in the middle of working on a cookbook called ‘MARROW – Progressive Indigenous Cuisine’. “It’s basically a book about my family, my life, my friends, my travels. Heavy story-driven. Short clips of inspiration” he explains of the cookbook. Soon, we’ll probably see Chartrand have his own vibrant cooking show on TV. He says that he’s currently working on a deal with the APTN network of Canada for a possible cooking show and documentary. 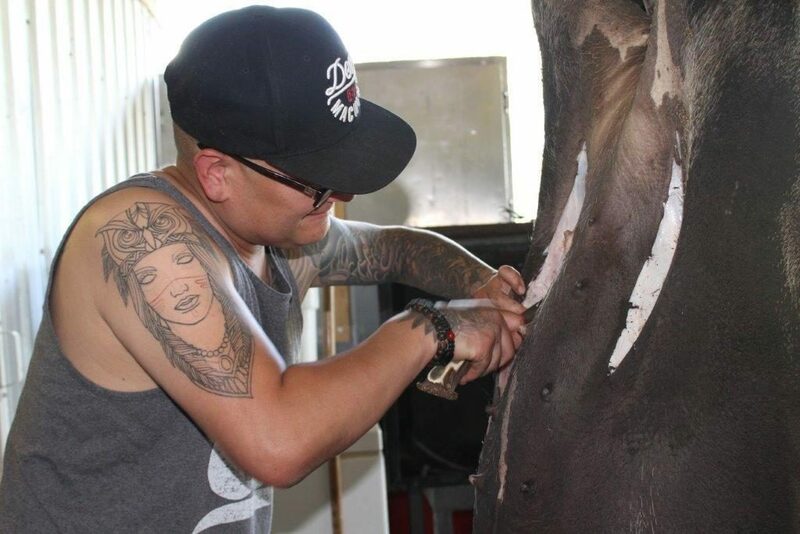 For Chartrand, it’s not about getting on TV or the fame. 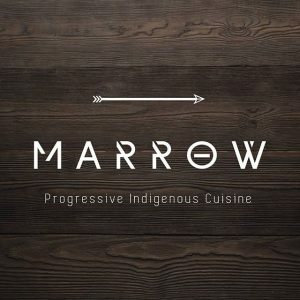 His goal is to promote the idea and purpose of indigenous cuisine, and simply relay the message of the spirituality of food he’s learned to the culinary world and beyond. “Aboriginal cuisine is a big part of the food and beverage world. Food changes who we are.” Chartrand perfectly explained that hunting and fishing, from finding your food to hunting and preparing it, enables you to have more respect for food. “How indigenous is hunting. We have a massive responsibility to take those traditions and carry them on.” Chartrand adds that cooking with fresh ingredients in the kitchen is vital. He says a lot of the ingredients and products he uses in his restaurant are fresh farm ingredients.